Whether stuffed or baked, spaghetti squash is not only a delicious vegetable but a nutritious one. This should be found in your vegetable garden. If you already have some, you are probably on the waiting period. That rewarding time wherein you pick the fruit of the plant! When to harvest spaghetti squash after planting? What’s the best or perfect time? Before we get to that, let’s learn a few facts about spaghetti squash. The flesh is typically taken out in twirls or thin ribbons using a spiralizer, but its name is more derived from the fact that when you sliced open it looks like spaghetti. When To Harvest Spaghetti Squash? Planting spaghetti squash looks similar to other types of squash. It takes around 90 to 100 days before this becomes mature. Upon the first appearance of its fruit, you’d see white colored squash and then transforms into pale yellow, which is a sign of maturity. To make sure that process happens without delay, direct full sun exposure and regular watering must be applied. It won’t take long when to harvest spaghetti squash the size of 9 to 10 inches long with a weight of around 4 to 8 pounds. Also known as vegetable squash, spaghetti squash isn’t fond of bearing lots of fruits unlike tomatoes, carrots, etc. In a year, it can produce only 4 to 5 fruits. However, this can be stored for several weeks. What makes spaghetti squash different than winter squash is its skin. Its outer rind is harder, while the flesh when cooked looks like spaghetti strands. In terms of water content, spaghetti squash contains the highest amount. The bad part is that it’s one of the types that contain lower vitamins and minerals. But this is loaded with carotenoids, which is a vital substance that helps decrease the risk of cancers, particularly lung cancer. In addition, it has fewer calories, which makes it a great alternative to the common spaghetti or pasta in general. 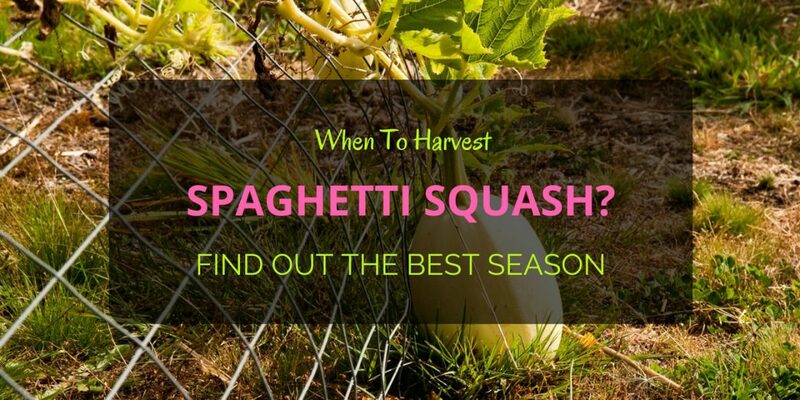 The best season regarding when to harvest spaghetti squash is during late summer or early fall. But this doesn’t mean that you pick any day of the season. It’s best to do that once it is already ripe, which means don’t try picking it from the vine if still not ready for harvest. Through a couple of clues, you must be able to determine if the fruit is ripe. The easiest way to help you find out when to harvest spaghetti squash is to spot the color. A ripe squash is yellow, either bright or dark and sometimes golden. If it’s combined yellow and green, wait for another day or two. This squash is ready to harvest once the skin is thick and hard. In addition, it should look dull than glossy. By simply touching it or digging your nail, you can easily find out if it’s good enough. You can remove the squash off the vine even if it’s not ripe. In a case wherein they bloom late, it’s best to pick up before winter starts or if it’s already October. After harvesting, place in a warm, sunny area to quicken the ripening process. Make sure that you do not pick an over ripe squash. Any black marks or bruising on the outer rind indicate damage or over ripe. That’s when to harvest spaghetti squash and throw right away. 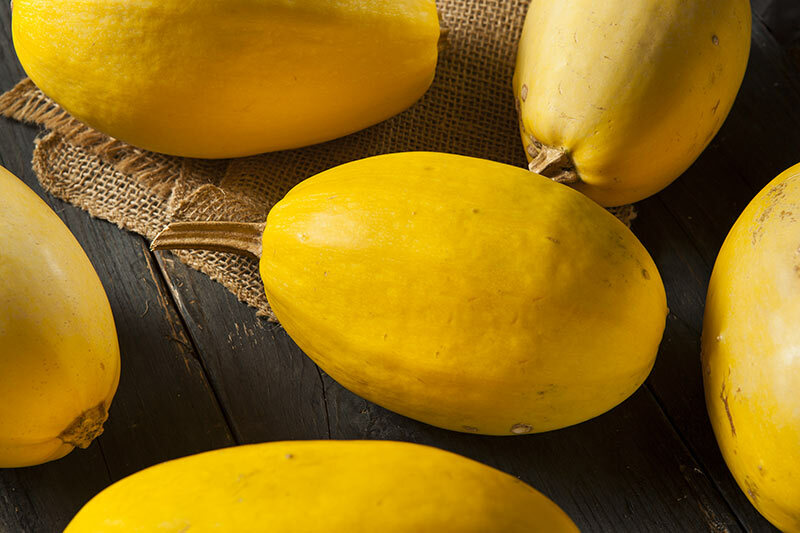 Spaghetti squash is often stored for weeks or even months only when cut off from the vine unripe. This should be followed by proper storage. To best preserve it, pick on any day that’s dry and sunny. And then place the fruit in a box that must be closed and stored in a basement, dry room, cellar, or anywhere dark. It must be done right after harvesting. For immediate consumption, unopened but ripe squash or any leftover should be stored in the fridge. This can still be edible for up to 10 days to 2 weeks. A pair of shears or pruners can do to help you remove the fruit from its vine. As much as possible, do not try pulling the squash off the vine with your bare hands or very forcefully. When you cut, leave at least 2 to 3 inches in length of its stem. Now that you know when to harvest spaghetti squash you must be ready when that time comes.